Home | The 4th R.T.T. The 4th Tunisian Rifle Regiment (4th R.T.T. ), created in 1884, was a unit of the French army. In the colonial vocabulary of the time the term “tirailleur” (rifleman) meant a soldier in the “indigenous” infantry. The first “indigenous battalions” were created soon after the colonisation of Algeria in 1830. In 1841, three battalions of “indigenous riflemen” were formed, one for each Algerian province, with French officers (who had to speak Arabic) and Muslim officers. The Algerian Rifle Regiments (which initially included Tunisians) originally operated with a single numbering system. Later, a distinction was made between Algerian and Tunisian rifle regiments: the Tunisian regiments being given numbers that were multiples of 4 (4th, 8th, 12th, 16th), and the other numbers were allocated to the Algerians. The 4th R.T.T. comprised six battalions with 600 men each in 1899. At the beginning of the 20th century, the first battalion was engaged in the Tonkin campaign, and then the 2nd, 3rd and 4th battalions were engaged in the Morocco campaign in which they fought Moroccan tribesmen who were opposed to the French protectorate. At the beginning of the First World War, France mobilised 62,461 Muslims, 9,000 Frenchmen from Tunisia and 24,442 “colonial riflemen”, i.e. a total of 86,903 men. The feats of the Tunisian riflemen won them the Military Cross, the Military Medal and the Cross of the Legion of Honour, and six mentions in dispatches (which earnt them the fourragère rouge (a military decoration)). Their final honour was a place in the victory parade on the 14 July 1919. After the First World War, a new system of numbering was introduced. The 4th R.T.T. now became the 24th R.T.T. when the battalions were located in metropolitan [European] France (the 28th was linked to the 8th, the 24th to the 4th, etc). The 4th R.T.T., honoured with the fourragère rouge, was therefore considered to be an elite regiment. elite regiment created after the advent of the protectorate in Tunisia, which had already distinguished itself fighting in Morocco and during the 1914-18 war, during which it was awarded the fourragère rouge. elite unit whose flag includes the Legion of Honour. It was therefore an attractive choice both for soldiers and officers who wished to pursue a career in a prestigious regiment. In 1943, the 4th R.T.T. 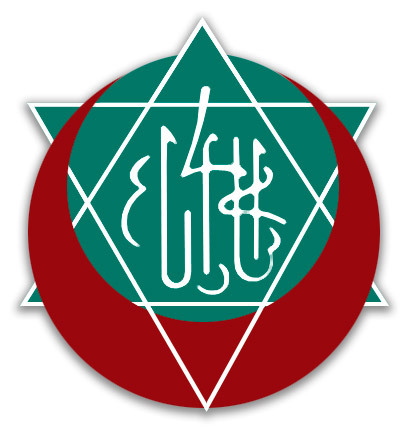 was incorporated in the newly created 3rd Algerian Infantry Division (3rd D.I.A.) that was to be commanded by General de Monsabert. The 4th R.T.T. 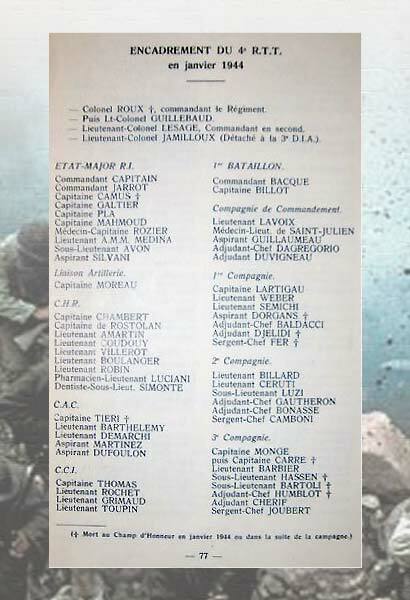 was commanded by Colonel Roux from 9 May 1943. On 23 January 1944, the 4th R.T.T. was assigned by General Monsabert to the offensive to the north east of Cassino, a diversionary manœuvre that General Clark ordered the C.E.F. to carry out. This offensive constituted the Battle of Belvedere. While conducted essentially by the 4th R.T.T., the support role of the 3rd Algerian Rifle Regiment (3rd R.T.A.) and the 7th Algerian Rifle Regiment (7th R.T.A. ), which were also part of the 3rd Algerian Infantry Division (3rd D.I.A. ), should not be overlooked. After the Battle of Belvedere, the 4th R.T.T. was much more than decimated: three quarters of the officers were killed or wounded, 279 men were killed (including 15 officers), 426 men were reported as missing (including 5 officers) and 800 men were wounded (including 19 officers), i.e. in total, two thirds of the men engaged in the fighting. 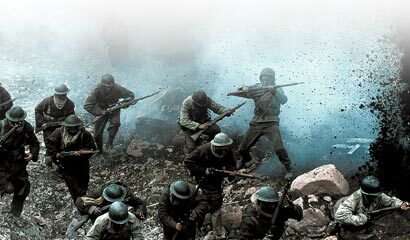 The 2nd Battalion was almost totally wiped out. Some companies (such as the 9th) lost nearly all their men. While the Battle of Belvedere was undoubtedly a victory for the French army, the term “victory” must nevertheless be put in perspective, as this particular “victory” entailed exceptionally high losses in comparison with the number of men involved. Furthermore, the victory of Belvedere was hardly exploited by the Allies, who were surprised by the breach made by the 4th R.T.T. 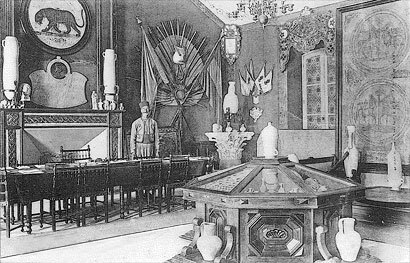 Photographie de la salle d’honneur du 4e R.T.T. Reconstituted after the Battle of Belvedere, the 4th R.T.T. took part in the Battle of Garigliano, then in the Provence landings at Hyères, Porquerolles, Toulon and Marseille. It fought a brilliant campaign in the Vosges and inside Germany, and was in fact the first French regiment to enter Germany in 1945. The 4th R.T.T. was later involved in the war in Indochina until 1955. After Tunisia achieved independence in 1956, the 4th R.T.T. was transferred to Algeria and was later dissolved after the events of 30 May 1962.